In what is becoming an everyday occurrence, the hacker “Guccifer” has broken into more e-mail accounts, including those of a former White House chief of staff and a career U.S. Army officer who now heads an information security firm. * Washington insider Kenneth Duberstein, who served as chief of staff to President Ronald Reagan, had his AOL account breached by “Guccifer.” The hacker forwarded a screen grab of an e-mail Duberstein received earlier this week from Colin Powell’s Gmail account. The hacker also included a photo of what appears to be Duberstein’s health insurance card. The 68-year-old Duberstein, who has held a variety of government and lobbying posts, currently heads a Washington-based strategic planning and consulting company and sits on the corporate boards of Boeing and ConocoPhillips. 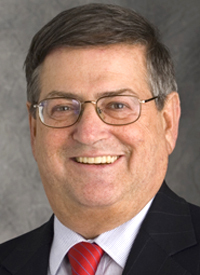 When “Guccifer” previously hacked Powell’s AOL account, he made copies of correspondence between the former Secretary of State and Duberstein, who is pictured above. * Mark Gatanas, founder and chairman of VizorNet, a defense contractor whose web site notes that it provides “Information security solutions using disruptive technologies.” The Virginia firm describes its “flagship product, CryptSec” as a “modular high level information security product” that protects against computer crimes. During his 26 years in the Army, Gatanas served as a military advisor to a series of Reagan’s Middle East representatives, including Donald Rumsfeld and Robert McFarlane. The screen grabs distributed today by “Guccifer” showed an e-mail sent to Gatanas in late-January, as well as a list of correspondednce in one folder of his account. Along with the message “Have a look tell me what you think? 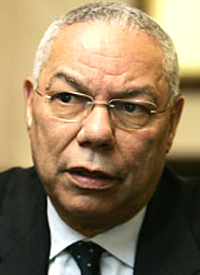 Take your time,” the hacker attached six screen grabs that included an account by former CIA official Tyler Drumheller about how Powell and other Bush administration officials botched claims about the threat from Saddam Hussein’s purported weapons of mass destruction. While the original source of the Drumheller account sent to Powell is unclear, when “Guccifer” recently hacked the AOL account Sidney Blumenthal, the former Clinton White House aide, he had access to a variety of correspondence between Blumenthal and Drumheller, who ran CIA covert operations in Europe.